In light of a bible study I'm preparing to teach soon, I recently searched through a number of commentaries to dicipher the literary structure of Matthew chapter eighteen. The most valuable commentary I found pertaining to the literary structure was Davies and Allison's volume in the ICC. Upon further reflection though, I wasn't entirely convinced that Davies and Allison outlined chapter eighteen correctly, so I dove into the text myself and came up with something far more fluid. It also ends up being a chiastic structure as well, instead of the triad which Davies and Allison produced. Below is how I see Matthew chapter eighteen. 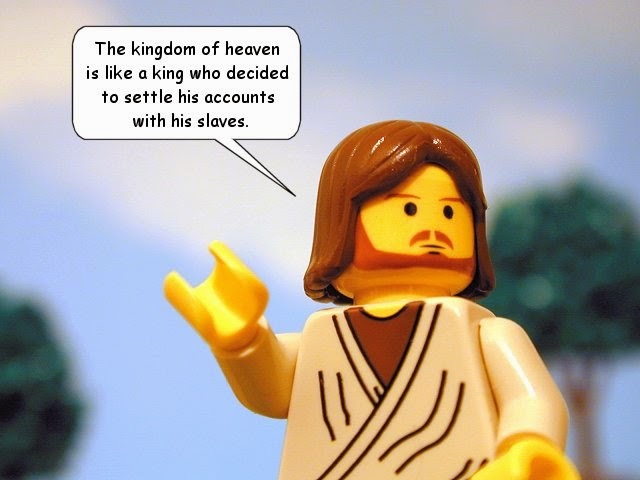 3 and said, “Truly I say to you-all, unless you-all are turned-back and come-to-be like children, you-all will not come-into the kingdom of heaven. 5 “And whoever receives one such child in My name receives Me. 8 “If your hand or your foot causes you to stumble, cut it off and throw it from you; it is better for you to enter life crippled or lame, than to have two hands or two feet and be cast into the eternal fire. 9 “If your eye causes you to stumble, pluck it out and throw it from you. It is better for you to enter life with one eye, than to have two eyes and be cast into the fiery hell. 10 “See that you do not despise one of these little ones, for I say to you that their angels in heaven continually see the face of My Father who is in heaven. 15 “If your brother sins against you, go and show him his fault in private; if he listens to you, you have won your brother. 16 “But if he does not listen to you, take one or two more with you, so that by the mouth of two or three witnesses every fact may be confirmed. 18 “Truly I say to you, whatever you bind on earth shall have been bound in heaven; and whatever you loose on earth shall have been loosed in heaven. them by My Father who is in heaven. 22 Jesus *said to him, “I do not say to you, up to seven times, but up to seventy times seven. 25 “But since he adid not have the means to repay, his lord commanded him to be sold, along with his wife and children and all that he had, and repayment to be made. 32 “Then summoning him, his lord *said to him, ‘You wicked slave, I forgave you all that debt because you pleaded with me. 34 “And his lord, moved with anger, handed him over to the torturers until he should repay all that was owed him.